The Iowa Years: One if the most unique features of Tommy's tone and equipment chain is how he developed his equipment to complement the changing forms of music he was playing. The early bands Tommy was involved with such as Denny and the Triumphs and Patch of Blue, he was using a Gretsch Country Gentleman and a Fender Telecaster for guitars. 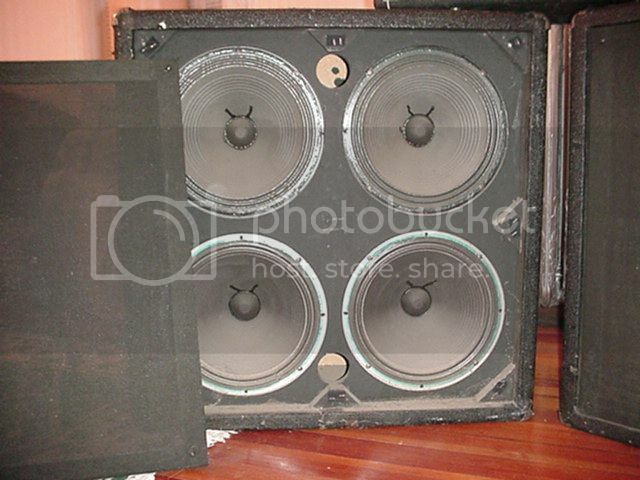 Amplifiers were a Fender Bandmaster, which he traded in for a blue Kustom head with a blue/green Kustom 215 cabinet. 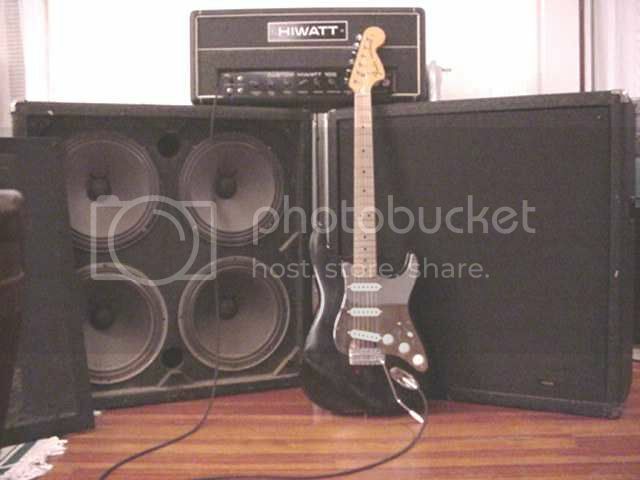 Unable to get enough treble out of this setup he bought a Vox treble booster, to add to his sound and kept that setup for approximately one year, this was in 1965. A Vox Super Beatle was also used and Tommy's first experience with Fender Twin Reverbs, which he was to continue using later. Tommy later also had a Hammond M3 organ and he would trade off guitar and organ playing, being heavily influenced by Jimmy Smith and he became more involved with the jazz style of playing, which was a major early influence on him. The Colorado Years: Having been kicked out of high school for his long hair, Tommy's move to Colorado began a significant change in his equipment and provided a whole new realm of musical influences and opportunities. Tommy joined a band called Crosstown Bus briefly, then after that band broke up he helped form a band called American Standard, a trio. This is where he first met Otis Taylor, a bluesman who recently has been playing with Gary Moore. Tommy moved to Boulder and a seminal music club The Family Dog was an important melting pot for him musically. Tommy met Lonnie Mack there and at that time he was playing a Guild 175 and a Gibson Les Paul. Zephyr: This Denver based group was Tommy's first big band which would lead to a lot of gigs and ultimately a series of LP recordings. The band had a female lead singer Candy Givens and her husband Dave, they were an established professional band, but with a real rock edge. Tommy was just 17 years old and learning highly advanced chords, expanding his musical horizons. 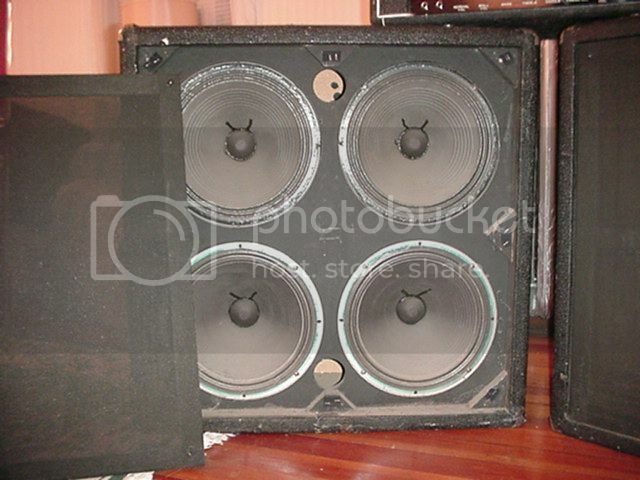 Tommy started to get much better quality Les Pauls and amplifiers. In Denver there was a music store called Happy Logan and they sold Fenders, so this influenced Tommy's lifelong dedication to Fender Stratocasters. On Zephyrs first self titled album in 1969, Tommy used a rented Gibson SG that was supposed to have a great sound, but in reality even a player of Tommy's talent had to fight to get a good tone out of it. He started using a Gold Top at this time. Also at this time Tommy was exposed through Rick Derringer to an Echoplex, which was to remain with him for the rest of his career, becoming one if the trademarks of his sound. Also at the time of his exposure to the Echoplex in new York, Sam Ash the famous music retailer, built a modded version of their Sam Ash Fuzz for Tommy. He also purchased a Cry Baby wah wah pedal then. Zephyr's second LP, "Going Back To Colorado", which was produced by Eddie Kramer of Jimi Hendrix fame, in fact this was at the time of Jimi's death in London and Eddie was preoccupied with Jimi's posthumous "Cry of Love", so he didn't fairly devote his full attention to the bands album. Nevertheless they completed the album at Hendrix's Electric Ladyland studio. Tommy started really getting into John McLaughlin at this time, studying his style and this was to further mold his techniques. Energy: This next band was significant for Tommy's career, because he had already met Billy Cobham, Tony Williams, Jan Hammer and recorded some tracks with Eddie Kramer and met the Mahavishnu Orchestra players by this time. Tommy having played with Jan Hammer by this time, pre- Mahavishnu. 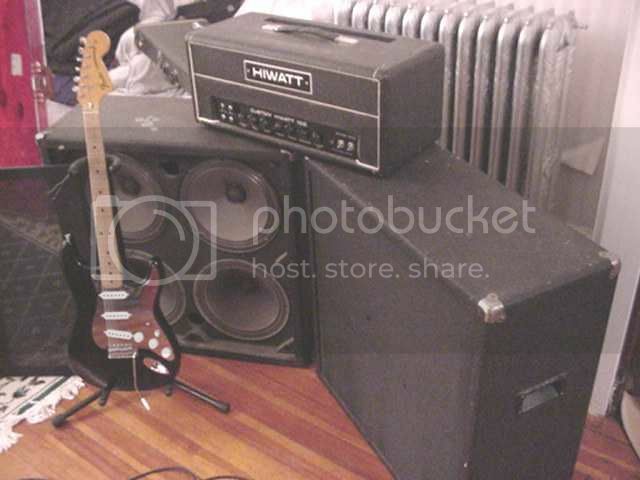 In Energy Tommy started using a Marshall stack and a sunburst Fender Stratocaster, including one with a maple Telecaster neck, something Jimi Hendrix also did. 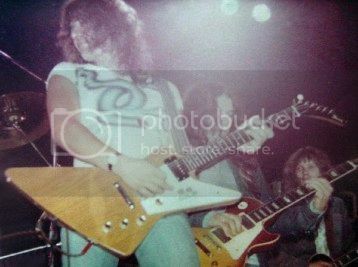 An Ibanez Destroyer and a Hamer 'Explorer' were also guitars used by Tommy. Also Tommy performed a great slide guitar piece on a Gibson cherry ES-335 12 string. A lot of songs written by him then, Tommy was to use later on his first solo album Teaser and even some tunes that would show up when he joined the Deep Purple MK IV lineup, even the stint in James Gang used material from this productive era. Billy Cobham-"Spectrum" Tommy was in New York City when Billy Cobham approached him to play on the legendary Spectrum LP, which was to forever change jazz/rock "fusion" playing, arguably starting the genre, carried on by Jeff Beck on Wired and Blow By Blow and many other albums of that genre. Since unfortunately the majority of Energy's work was never recorded, the Billy Cobham sessions really showed Tommy as the world class player he was. Tommy's unique tone and phrasing, plus his ingenious use of the Echoplex were highlights of the album, especially the track Quadrant Four. I am not 100% sure when Tommy started using the Hiwatt Dr-103 100 watt heads, but these sessions definitely feature his Sam Ash Fuzz and Echoplex and the tone is Hiwatt to me. Tommy would turn down all the treble on his amps and the bass all the way up, using the Fuzz for sustain. Some speculate he used some other type of device for sustain, but I don't find this in my extensive research. After this musical highlight of a lifetime, Tommy was again basically broke so he received an offer he couldn't refuse from Joe Walsh. The James Gang: Joe Walsh left the James Gang to form another band Barnstorm so the door opened for Tommy to replace him. This would provide a steady paying gig with an already established band, Tommy's first experience of this financial stability and established a precedent that was to haunt him the rest of his days. Having to fill in for an established guitarist and play his songs, ect., was a new experience for Tommy. Overall this move was really based on financial security for Tommy, after breaking through new musical horizons, now he was in a 'rock' band, playing songs like Funk 49, ect. Not that the James Gang weren't a tight great sounding band, it's just Tommy's creativity was suppressed for the most part. Tommy replaced Domenic Troiano, who was a great player also, but the album with him had bombed. The James Gang format very structured, in fact Joe Walsh frowned upon jamming with various of his lineups, all of a sudden this wild, uninhibited player was let loose among them. The first album Bang was comprised of mostly Energy material, so Tommy was pretty much set. 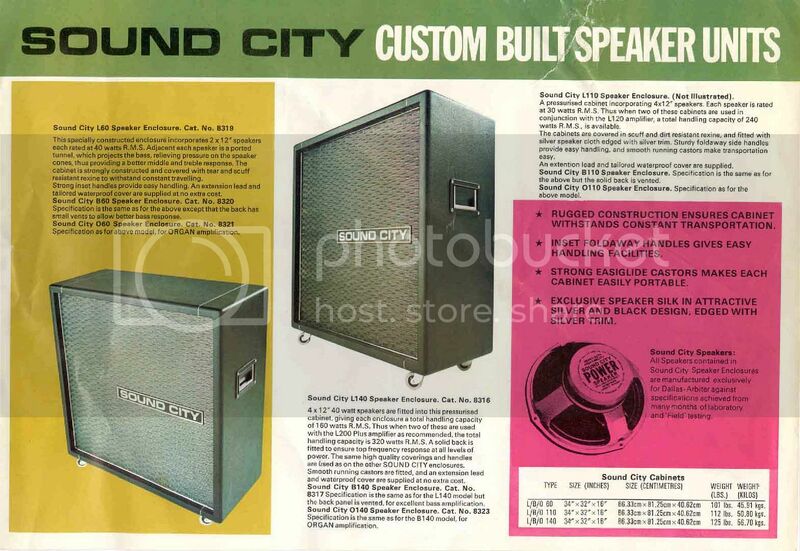 Tommy was using the Hiwatt amps with the Sound City 4X12" cabinets by this time, with his Echoplex on a stand or chair at times. Tommy was using his sunburst Strat at this time with the Tele neck and a Les Paul, with his Sam Ash Fuzz, on some recorded tracks I can detect a Leslie cabinet or similar effect and Tommy did start using phasers around this time. This was in the 1973-74 time frame. The much viewed footage of the Don Kirshner's Rock Concert shows the strengths and flaws of the band and as they say a picture is worth a million words. Tommy is doing his thing almost in a disconnect with the rest of the band and the dynamic with Roy Kenner, the lead singer was unique to say the least. The James Gang tells the story of Tommy being virtually blind without his glasses, so him parading around on platform shoes, maintaining his balance is an achievement in itself! Alphonse Muzon-Mind Transplant: Alphonse Muzon a direct competitor on the drums with Billy Cobham, had Tommy play on some tracks on his album Mind Transplant these tunes were in the vein of Spectrum but the vibe was different. Ironically, Tommy starting out as a drummer, was featured as a guitarist in records led by a drummer. Also Tommy had his first jam with Jeff Beck at this time, the next time they were to meet would be in Tommy's final days. Deep Purple MK IV: After some sessions for the Canadian band Moxy, Tommy was invited to some sessions or auditions for the recently Blackmore-less, Glenn Hughes, David Coverdale Deep Purple MK III, becoming the MK IV lineup. Tommy showed up at Pirate Sound and the only other player up for the job was Clem Clempson (ex-Jack Bruce, Humble Pie, Colosseum). To be fair Clem wasn't really what they were looking for to replace Ritchie. 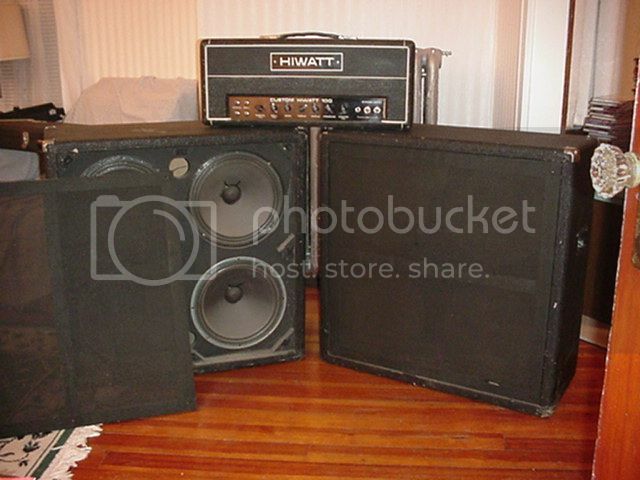 Tommy strolled in with his exotic girlfriend Karen, plugged into some Marshall stacks and the band was blown away by this guy. And Tommy was a rock star, there was no doubt, his time in LA ("People are Crazy Out There"), a quote from Post Toastee his second solo album, had changed him. Things went well and he bonded with Glenn Hughes immediately, a brotherhood that would always be there. 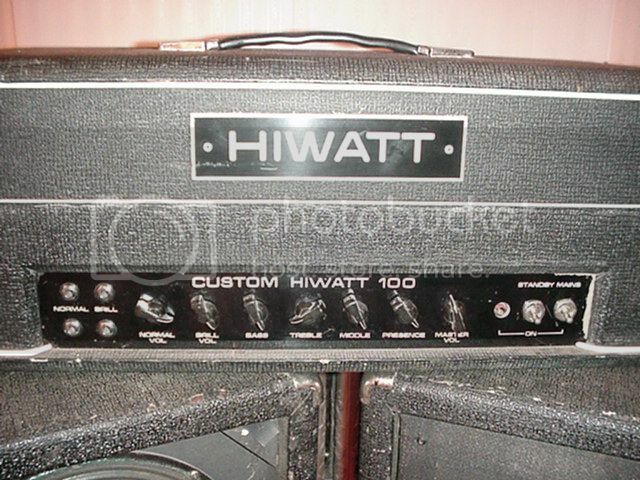 Glenn was using Hiwatts for his bass and Tommy eventually used his Hiwatts, the Marshall stack quote is from Coverdale, I don't recall seeing any pictures if Tommy with Marshall's from that time, he may be mistaken and meant the Hiwatts. 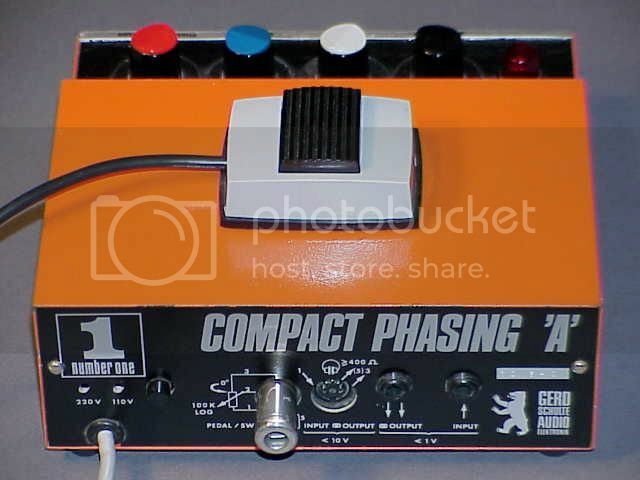 The Schulte Compact Phaser also used by Blackmore, may have been lying around and picked up by Tommy. He also use a dbx type unit which may have been a compressor/sustainer. A lot of the technical information is difficult to ascertain as Tommy wasn't for the most part a technically orientated guitarist, as far as the gear he used and he rarely mentions equipment in interviews. Most of the information coming from other sources. David Brown, his long term tech has not replied to inquiries concerning Tommy's equipment. 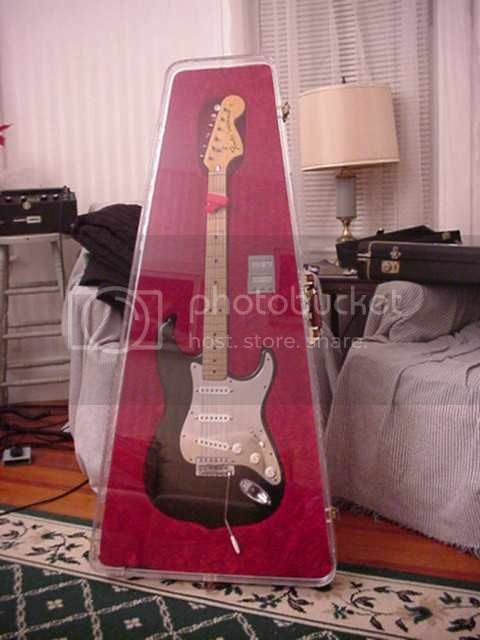 Tommy used a Japanese custom made guitar on stage at times, but mostly played his Stratocaster. 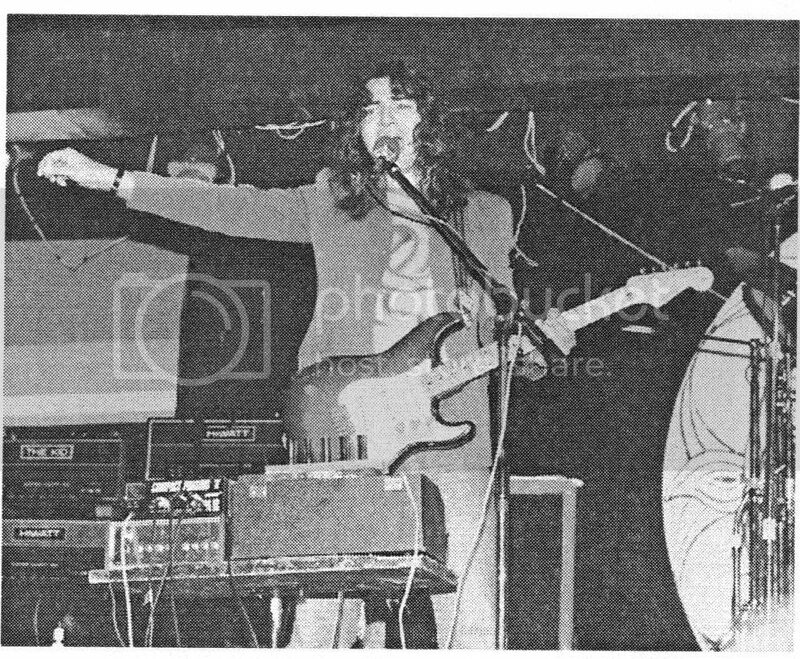 Tommy Bolin solo band: Tommy stuck with pretty much the same equipment for his last solo tour, not as much equipment amp wise as with Deep Purple, bu the same set up basically. 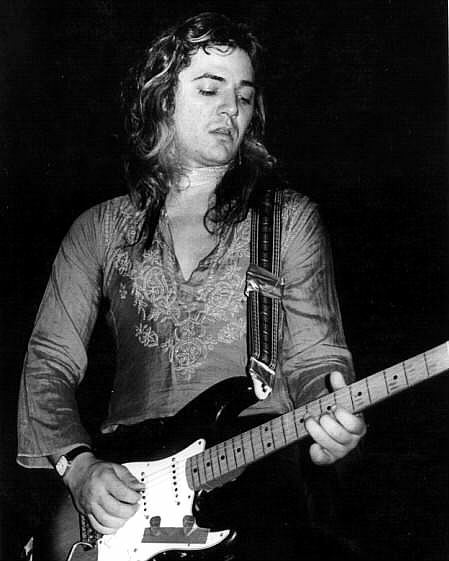 The key to the classic Tommy Bolin tone is a vintage Pre-CBS Stratocaster, through am EP-3 Echoplex, the Sam Ash Fuzz, Schulte Compact Phaser and the Hiwatt Dr-103 amps with Sound City 4X12" cabinets, with Eminence speakers and often the grill cloths removed.Tommy used at least 4 different Strats that I can trace, but all have vintage Strat low output single coil pickups and the maple board necks, adding brightness, to his smooth bassy tone. The BSM Spectrum pedal is a critical factor in reproducing the trademark Bolin sound, with it's variation from treble boosting to fuzz tone with the Attack control and the unique Spectrum control enabling the player to dial in unique tonal ranges, adaptable to many guitar/pickup configurations. The story of Thomas Richard Bolin is one that involves so many different emotions, much like Tommy's music itself. Tommy's guitar playing covered such a wide gamut of styles and he was able to accomplish so much in a short period of time, much like one of his idols Jimi Hendrix. As a guitar player there are a few certain players who can both inspire and excite me, as a player and also as a listener. Tommy was a pure musician and it appeared effortless to him to play some of the most amazing material that I had heard in many years. In fact post the death of Jimi, Tommy Bolin from the early seventies onward, re-kindled that spark of excitement, that I had feared was gone forever. Tommy's playing was adventurous and he often danced close to the edge, but never fell off it. Tommy was able to switch between genres of music with an ease that has not been repeated, even to this day. No analysis of Tommy's tone and the limited equipment amount of equipment he needed to produce this golden rainbow would be complete without mentioning his abilities and what happened in his life to produce such brilliant playing and songwriting. Tommy's first great inspiration was Elvis Presley and after being taken by his late father Richard to see the King perform, it had a profound effect on him, that would alter the course of his life from that moment. Tommy was motivated to enter a local T.V. talent show, to pantomime "Heartbreak Hotel" and he was off. His father purchased his first guitar from Sears, which probably was a Silvertone amp in the case guitar, which were popular then. According to Tommy he actually started as his first instrument on the drums when he was thirteen, then switched to the guitar. His brother Johnnie ended up being the drummer. But it is important to note that a guitarist's right hand technique and rhythmic sense are keenly developed by starting on the drums. Edward Van Halen, to name one and is known for his strong rhythm playing, also started this way. Personally I did as well and of course I am not in the same league as these two gentlemen but I understand how it gives one a strong sense of rhythm and this was integral to Tommy's style. He also dabbled in Hawaiian steel guitar, but surf music and the Beatles, were what he really wanted to play. Then Tommy got a Gretsch guitar, no doubt influenced by George Harrison, a Telecaster and a Mosrite. As he grew older and developed in the local music scene, Tommy was a veritable sponge as far as absorbing many influences, which were to form his style later on. Wes Montgomery and his octave playing certainly can be heard in many of his later tunes, most notably "Savannah Woman" from the Teaser album. Charlie Christian, Motown, R&B, pop music, Hendrix, Zappa,Django Reinhardt, Carl Perkins, the Stones, Tommy was adept at playing many styles, though he particularly had a talent for jazz, even at such a young age. 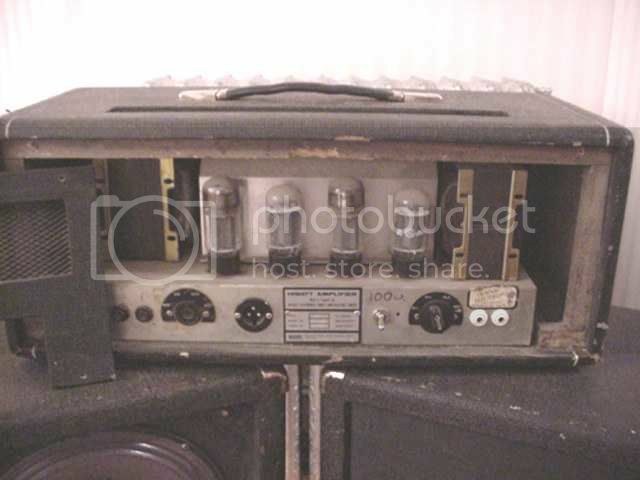 Amps that he used back then were a Fender Bandmaster and then a Kustom amp and cabinet, finding not enough treble from the Kustom, he bought a Vox treble booster. Then Twin Reverbs, which he used up later on as the next chapter began, Tommy's move to Colorado after being kicked out of high school in Iowa for having long hair. Tommy always wrote his songs on an acoustic he had for many years and this was a Yamaha. It was in Denver and then Boulder , which had a burgeoning music scene, that Tommy developed friendships and songwriting partnerships, that would follow him throughout his career. Here he joined the group Zephyr, Tommy was now 17 and this band was a psychedelic blues band, with a female lead singer Candy Givens. Otis Taylor the bluesman, knew Tommy back then, he brought clothes back from England, influencing Tommy's look as well as his new girlfriend Karen Ulibarri, who made clothes for him as well. Tommy added colors to his hair, developing a look that enabled him, besides his magnificent playing, to stand out and be noticed as a performer. 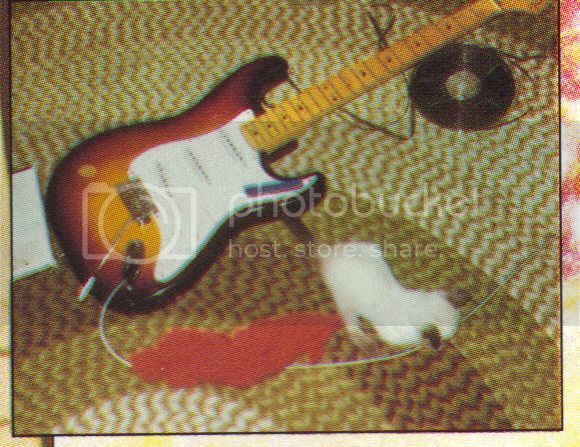 Tommy had his first Les Paul then and was able to afford better amplification. Tommy had a Gold Top in various pictures at the time and an SG Standard. Tommy's love of Stratocasters led him to own quite a few, mostly sunburst, his main guitar is often referred to as a 1963, but has a maple fingerboard, so the neck is somewhat earlier, the last maple boards being in late 1958. 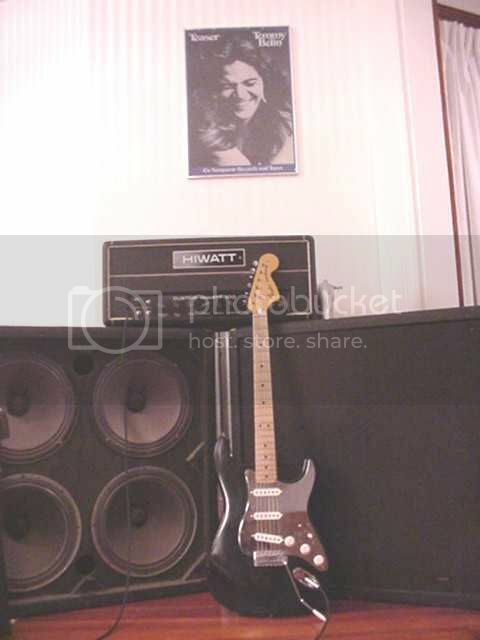 Tommy also had a famous Strat with a Telecaster neck, and an Ibanez "Destroyer" or Explorer type guitar.Plus this Hamer, where he obtained his "Ultimate" t-shirt he was often pictured with from Jol Danzig of Hamer, this would also be the title of the boxed set tribute to Tommy later on. Tommy also played slide guitar quite proficiently and in combination with the Echoplex, he was able to create some unique sounds. The famous Billy Cobham "Spectrum" sessions, really showcased for the first time to a mass audience, Tommy's amazing talent and the fluidity of his playing, the exchanges with Jan Hammer, really woke up the music scene. In particular Jeff Beck, who ironically would play with Tommy on his final gig, Dec.3,1976 in Miami, was heavily influenced by the "Spectrum" album, leading to his "Blow by Blow" album. He also played on albums by the Canadian rock band Moxy , primarily solos. Great work with Weather Report alumni Alphonse Mouzon's album Mind Transplant Les Paul Goldtop with P90 pickups and wraptail bridge Borrowed Les Paul with humbuckers and American Flag pickguard, and Bigsby tremolo, which belonged to his longtime guitar roadie David Brown, I believe. Herco Gold Nylon pics Leslie rotating speaker cabinet driven by a Hiwatt DR103, with lighter colored vinyl on the front above the control panel. Three Hiwatt DR103 100 watt heads Three Sound City 4X12" cabinets with Eminence speakers and removable grillcloth covers of a dark material Echoplex on a stand 1963 Stratocaster body with a Telecaster maple neck Natural finished Stratocaster with maple neck and vintage (pre-CBS) headstock Ibanez Destroyer (Explorer copy) with raised action for slide guitar use. Hamer Explorer copy made for him by Jol Danzig of Hamer, who also gave Tommy the Ultimate t-shirt he is so often pictured with. A unique multi-wood construction solidbody guitar constructed for Tommy by a Japanese luthier, this had unique pickups and was a fusion of say a Yamaha style guitar/an SG/ and a Les Paul! He is seen playing this in the "Last Concert in Japan" Deep Purple video and still photographs from that show. 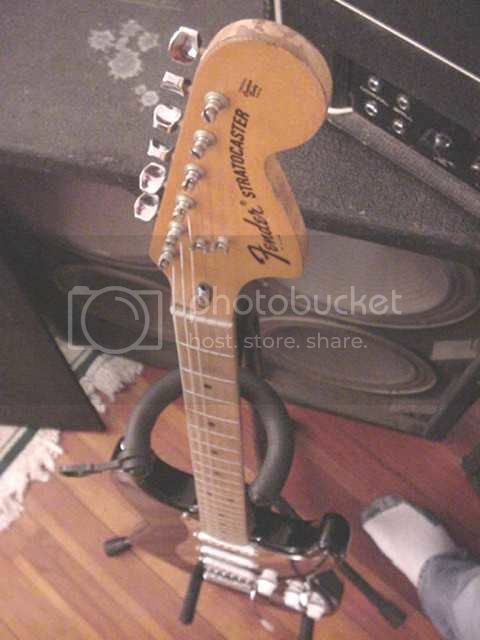 In the Bolin family, Johnnie Tommy's brother has discovered a CBS era Stratocaster with the larger headstock, maple neck and a mirror finish pickguard, which I personally haven't seen Tommy pictured with. 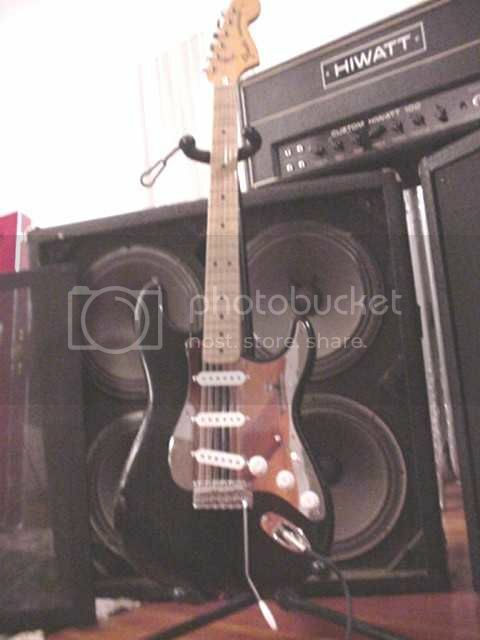 I believe this was the inspiration for Dean Guitars Teaser tribute limited edition of 100 Tommy Bolin inspired Stratocaster shaped with the neck profile and pickup characteristics copied from this seventies Strat. 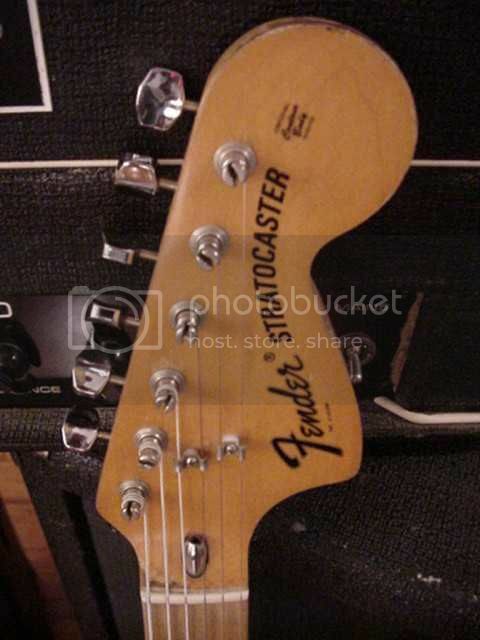 This guitar has also a headstock similar to a Fender Telecaster. According to David Coverdale's account of Tommy's first audition with Deep Purple, Tommy plugged into 4 100 watt Marshall heads. I have also read of his use of Marshall amps during his stint with Energy. I have in my research observed a DBX noise reduction type unit, which also may be one of their compressor units, it is unclear from the photographic evidence though. The Schulte Compact Phaser, manufactured in Germany was used by Tommy quite extensively in Deep Purple and this unit was also used by his predecessor in Deep Purple, Ritchie Blackmore. A unique feature of Tommy's playing is that he always sounds like Tommy no matter what guitar or amp/effect setup he is using. Tommy used a wah pedal from the earliest days, the Don Kirschner Rock Concert video of 1974 featuring Tommy with the James Gang, shows clearly Tommy's use of a stand or bar stool to support his Echoplex and the wah pedal can be heard during this show. Tommy's vocals became a feature to look forward to from the James Gang days onward, through his Deep Purple album and of course his solo albums. Songs like "Alexis" from Bang,"Spanish Lover" from Miami, showed Tommy's strong confident and quite melodic voice. There has been various conjecture that alternate recorded versions of Tommy's songs are in some instances superior to the versions used on the LP's. Through the efforts of the Bolin Family Archives, many undiscovered treasures have certainly been uncovered and released, including an amazing instrumental entitled "Blowing Your Cookies", which is said to rival Quadrant 4 from the Billy Cobham Spectrum album! I would like to report on BSM's incredible Spectrum pedal, which I have been fortunate enough to test and experiment with in relation to the tones of Tommy Bolin himself. It is well known that Tommy would roll off all the treble and presence controls on his amps, accentuating the mid and bass ranges, allied with his use of a certain fuzz tone device sold by a chain of music stores in NY during the seventies. This device had three controls and would smooth out Tommy's tone and suited his legato style very well. I always found this to be such a unique sound and an integral part of Tommy's tone, the smoothing and 'roundness' of the tone responded to his pick attack, with a definition that was surprising with the subtraction of the treble frequencies. I am using my beloved 'Blackie' a 1983 '57 Reissue Fender Stratocaster, that I ordered that way as a tribute to Eric Clapton's famous Blackie. It is in amazing condition and it's pickups are actually 16 years old, whereas Tommy's 1963 Strat pickups would have been 13 years old in 1976, so they are a very close approximation of the actual pickups in the signal chain. Not owning a Hiwatt DR 103 or Sound City 4X12' cabs, I would like to say that the Spectrum pedal is so versatile that, it is very easy to dial in Tommy's tone with varied amp setups. The attack control transitions from a boost to a fuzz in a seamless fashion, giving one a hugely versatile approach. The spectrum control with it's six octave range, allows an incredible amount of tonal variations, I particularly found the ability of producing smooth even order harmonic feedback to be an awesome feature of this pedal. I still was able to have all the presence I needed and would even turn down my neck pickup's tone control. The sensitivity of the guitars volume control between full and even 7/8ths to ¾ lets you have the more crunchy tone as opposed to the lead tone. The Spectrum pedal also offers you more frequency response with the amps power tubes at full distortion, then would otherwise be available. The Spectrum pedal has quickly become my favorite pedal and it's great to plug into any amp and have that Wild Dogs tone right at your fingertips! As far as i know, the Sound City cabs were loaded with Fanes. 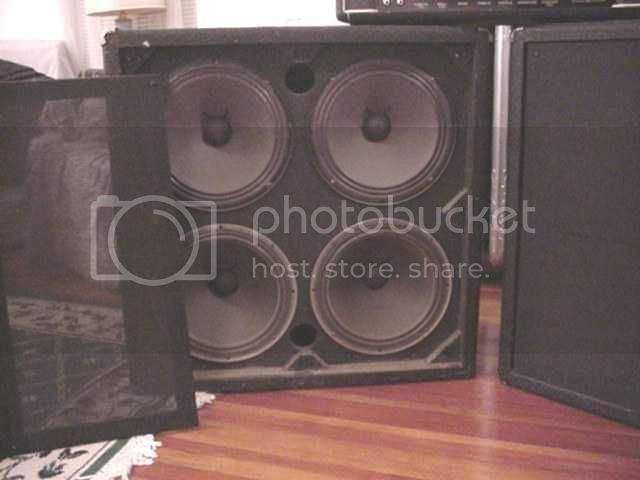 I'm sure there are SC cabs out there that arent Fane-loaded (probably because at one time or another someone sold their cab and kept the speakers) but from what i've seen and read, they came stock with Fanes.PS. 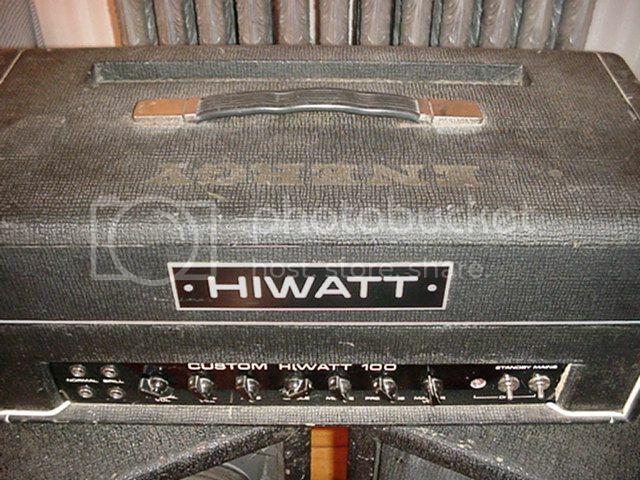 I've seen more than one SC cab that was front-ported like some later 70's HIWATT cabs (like mine) ...Dallas Arbiter was part of the HIWATT crew back in the day so i'm not surprised there are similarites in the equipment...both the SC heads & the cabs. The funny thing about these clip is how blind Tommy was without his glasses, as related by the other members of the James Gang!! Here is a mega rare version of Red Skies, which Tommy used on the "Miami" album, but this was a song from back in the Energy days, with a poorly mixed vocal from Tommy, but rare, what guitar playing!!! The entire Long Beach Arena show of the MK IV lineup at their early finest is available to listen to for free on the excellent Wolfgang's Vault site, which you can join for free and download if you wish for a nominal price, they also have some Tommy Bolin Band solo shows, check them out please, particularly the Long Beach DP concert, the most amazing playing by the whole band, but Tommy in particular. You know Tommy's tragically short life was in reality a celebration of living a true musicians live, Tommy was truly a Gypsy Soul as one of his songs on Private Eyes says. If you read the appreciation of Spectrum by Wolf Marshall that I have scanned in my Tommy Bolin Photobucket album, you will release that Tommy came to a gunfight with a runner knife and like David before him, slay the mighty Goliath, just beyond words. when I still hear Quadrant 4 it raises the hairs on the back of my neck, as it did the first time I heard it, the same with the killer debut album Teaser which is such an awesome album. Tunes like Savannah Woman. where Tommy shows his Wes Montgomery influences on his battered Strat. I heard the tale of Tommy drawing a small crowd in a Boulder music store, where he played an impromptu version of Dave Brubecks Take Five on some old acoustic guitar he was trying out. Tommy was that different even from the start...It still makes me sad all these years later on the anniversary that he has left us, at least on this earth. Tommy had it all, a true triple threat, ace guitarist, songwriter and a vocalist of suprising emotional depth, so many parallels to Jimi, that Tommy was wearing a ring that belonged to Jimi, when he was buried was so apropos. Try and check out Glenn Hughes new autobiography when it comes out. He was like a brother to Tommy, married his girlfriend, but was able to turn his life around..sadly Tommy's time had expired, but his music will live on forever in our hearts and souls..You have reached the promised land Tommy, as you sang about in People, People...... This clip is all I had heard from the MK IV lineup for many years, Tommy isn't even there on stage, I bought the album on import from Japan called "Last Concert in Japan", I was very disappointed, but if you listen to the rehearsals of the MK IV lineup and the first few California gigs, Tommy was brilliant!! At this point I would like to interject my personal feelings about Tommy and his brief but bright career. Tommorow, on Dec 4th it will be 33 years since Tommy's premature death. I have experienced mixed emotions immersing myself in Tommy's music again to the degree necessary for this article. For example after the death of Jimi Hendrix, which greatly affected me personally, as it did many others, I couldn't bear to listen to his music for almost ten years. I had bought the posthumous efforts such as Cry of Love, then the concoctions of Alan Douglas, like Crash Landing and Midnight Lightning, where the original drum and bass tracks were removed and new session players were used. That did it for me, I even went as far as not playing guitar for many of those ten years. Much has been written about Tommy and his contributions to the guitar. During the era of most of Tommy's last few bands, I was living back in the States, on the east coast on Long Island. One of my great regrets is having to miss Tommy's great show at the venue My Father's Place in Rosslyn, New York. I didn't have a working car at the time, would have had to scratch together enough money for the show and had no way to get there. I was not one who hitchhiked, so I listened to the FM radio adverts for the show, but never made it.. After his death in 1976, I returned to live in London again and turned my English friends on to his music, particularly the two solo albums, Teaser and Private Eyes. I even had special t-shirts made for us that read Tommy Bolin Lives. 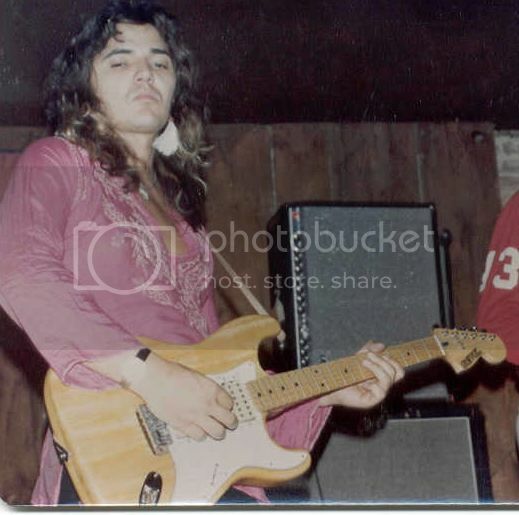 I would get people asking me in various clubs and pubs about who was this Tommy Bolin! Some knew right away, but for the majority of England at the time, they were completely unfamiliar with his work and only knew him as the 'replacement' guitarist for Ritchie Blackmore. Tommy received a basically horrendous reception in the UK from the Purple fans and this only seemed to spur on his disenchantment with the band. Often he would respond to the touts of the audience and deliberately underplay or even let Jon Lord carry the melodies or just let his Echoplex run on and on… To be frank, by his own admission Tommy had hardly heard of Deep Purple at all before being asked to join. He was vaguely familiar with songs like Smoke on the Water, ect. 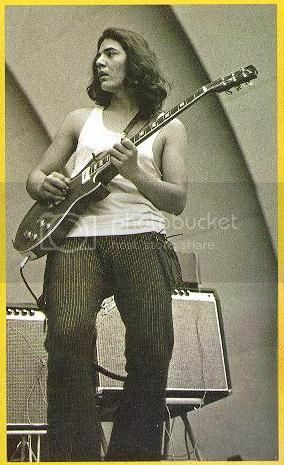 According to Karen Ulibarri, his childhood sweetheart, Tommy basically took both the James Gang and Deep Purple gigs for the money. He would go from penthouse to pauper so many times in his career and other musicians were so aware of his talent that they jumped at the chance to hire him to replace the famous guitarists that he did. The down side of this was that Tommy had pressure put on himself to both play the previous material in these bands and forge ahead with his own contributions. In both cases, with The James Gang first and then Deep Purple MK IV, he was able to rise to the occasion and interject his own style of playing and use his own material to carry on with these bands. In the instance of The James Gang Tommy was able to incorporate songs he had written and co-written, directly into this band and the vocalist Roy Kenner, for the most part was able to provide adequate performances. My feeling and it is apparently shared by the surviving members of The James Gang, is that Roy was the weakest link in the band. The only quality existing video of this bands live set is the 1974 Don Kirshner's Rock Concert and it is obvious watching the interaction on stage, where the band was at, both emotionally and musically. Roy's vocals are somewhat strained and he overcompensates by jumping around in a clown like fashion, what actually is derogatory to the overall performance. Tommy is on automatic pilot throughout the whole set it seems. Dale Peters and Jim Fox, competent musicians as they undoubtedly are, aren't really in Tommy's league and he delivers a somewhat lackluster performance in my opinion, compared to what I know he is capable of. There is no spark with the band and frankly if Tommy had had the confidence in his own vocals to actually do more of the singing, it could have been a much better band. All the band members were frustrated in their own ways and this lineup lasted through two LP's, with Miami being the final effort, which in light of what would happen there, the all black cover is eerily appropriate. With The James Gang, Joe Walsh had handpicked Tommy to replace him and still to this day is in awe of Tommy's ability as a guitarist and musician. Joe attended Tommy's funeral and turned and saluted Tommy's casket, which shows what a class act Joe is and he often remarked that "Tommy can play circles around me." Also Joe wasn't a big fan of jamming and would even fine members of his band Barnstorm if they started to jam out at all!! Tommy was all about jamming, so sticking him in the rigid format of the existing James Gang material, wasn't the greatest success. Tommy had left his fusion band Energy to take the James Gang opportunity and Energy's bassist had left to work with Peter Frampton previously, so Tommy gave it his best shot. With the exception of the Energy tune Red Skies the Tom Dowd produced Miami, sounded the death knell for the James Gang. Tommy was the kind of musician who once in a music store, was trying out an acoustic guitar and did an amazing version of Dave Brubeck's Take Five, which quickly drew a crowd of reverent admirers. He had the ability to make the impossible seem possible and his natural musical gifts enabled him to cross boundaries that would impede a 'normal' musician. The fact that he couldn't read music, he told this to Billy Cobham. To quote Tommy about the lead in to Spectrum : "Cobham called me for the Spectrum session, and I said, "I don't know how to read, man. "He said it was O.K. So I went to the studio, and he handed me a chart. I told him again I didn't know how to read, so we had a day of rehersal, then cut the album in two days. In rehersal I'd just find out the changes - for example, Am to D9 to G6 to E13 --- and play around those chords and changes. I learned quite a bit through those people. You can't help but learn. All the different styles I've played have really helped me as a guitarist and helped me develop my own way of playing. I have my own style, but it's different for each kind of music. There are certain little characteristic things every player has." So after all the critical acclaim of the Billy Cobham album and the groundbreaking areas it entered, Tommy was playing Funk#49 soon afterwards. The period post James Gang, Tommy was able play on the drummer Alphonse Mouzon's LP Mind Transplant based on his work with Billy Cobham and he contributed to some great tracks like Golden Rainbows and Nitroglycerin. The Canadian rock band Moxy hired Tommy for some session work, where he basically played a few solos, allegedly being paid with cocaine for his work. Any story of Tommy and his career, the great white elephant of alcoholism and laterally drug addiction must eventually be addressed. That Tommy had an ability to play the most amazing material in the studio and for the most part live, while being heavily under the influence, only goes to show the incredible level of his talent. It may well have been a nervous thing with his playing and performing, we only have other peoples opinions on that, as Tommy never directly addressed this issue in any interviews, except for the first interview I read about him in Circus magazine of all places. Tommy:"My first joint I smoked on the stage of a place in Sioux Falls, South Dakota. I smoked my first joint live. The band was smoking it right on stage in this club, no one knew what it was." I mentioned that I have undergone mixed emotions on this journey of rediscovery of Tommy's music and achievements. One of the major ones is, "But for the grace of God, there go I…" In my personal life I have struggled with alcoholism and drug abuse, I have had my life spared many, many times and have been fortunate enough to have been clean and sober since 2001. These issues have placed major scars on my own life, yet through my great faith I was able to find the path to recovery. Glenn Hughes, whom I greatly admire both as a musician and more importantly as a human being, is a living example that is is possible to recover and keep playing, but unfortunately for Tommy, back in his era, there wasn't really any systems in place to help people with these inevitably fatal issues and the end was apparently obvious to all who knew him, sadly. This is really the greatest tragedy of Tommy's story, to die at age 25, with his whole life in front of him. These are my personal opinions here and do not reflect upon those of BSM or anyone connected with that fine organization Tommy started work on what would be his finest overall work, the solo LP Teaser, which when I first bought it and listened to it, I still feel the same emotions to this day, that is the mark of greatness and of all the major artists who have made great musical statements. This record is really the zenith of Tommy's guitar sound and displays both his amazing tones and chops to their finest degree. Quite a few musicians played on this album and weren't credited for contractual reasons. I am listening to the CD as I write this. Glenn Hughes sang on "Dreamer", actually Tommy wanted Glenn to sing on more tracks, but Glenn encouraged Tommy to develop his own vocals. In fact one of the best aspects of "Teaser" is Tommy's soulful vocals. Especially on tracks like "People,People". Many of the songs on Tommy's solo albums are extremely autobiographical in nature. To this day "Teaser" is in my top ten favorite all time LP's of any genre. Every little guitar inflection on this LP is so funky, precise and in the pocket. "Marching Powder" is almost a textbook in lead guitar playing, the intertwining of Jan Hammer's keyboards and Tommy's guitar is absolutely incredible. Jan still greatly misses playing with Tommy, after all the great artists he has worked with, Jeff Beck included, Tommy always had that certain 'edge', that made his songs and playing so exciting. Tommy always worked without a net and the people I most admire in this earthly world are those that do so. Tommy was a great family orientated guy, loved his brothers and was always extremely grateful of the support from his mother and father, thanking them frequently during his career. In fact I am becoming extremely overcome with emotion listening to the songs from "Teaser". I don't often listen to music when I am writing, but I have made an exception in Tommy's case as I only too happy and feel extremely privileged to be asked to write about Tommy and his music by Bernd and Dirk. This is a labor of love I can tell you. Tommy's music being a soundtrack to my own life, part of that select few who move me so strongly. When an artist gives everything to his art, as did Jimi Hendrix and Phil Lynott and many others, it seems that they did so even knowing inside that they didn't have much time on this earth to do so, Tommy had worked so hard to get his solo career going and it was just starting to pay off for him. In retrospect it is easy to see that Tommy joining Deep Purple MK IV, somewhat took away from the release of Teaser, but he had to make the most of the opportunities handed to him and can't be blamed for trying to do too much at one time after waiting so long for his big break to come. Chronologically I am somewhat taking liberties with the sequence of events in Tommy's career, but the early years with Denny and The Triumphs, A Patch of Blue, then the years with Zephyr, these were all certainly important to Tommy's development . I am somewhat concentrating on the more well know eras in Tommy's career. The Deep Purple aspect of Tommy's career was both a help and hindrance to him professionally and personally. In the negative aspect, it certainly provided him a gateway to even more money and all the bad things that it can buy. Tommy apparently didn't care for the type of music played by Purple and was greatly surprised by the level of musicianship of Ian Paice and Jon Lord in particular. Listening to the first rehearsal sessions of this lineup, there is a strong natural interaction between all the musicians and Tommy is clearly enjoying himself. He started writing songs right away, with Coverdale and Lord and to a degree with Hughes. The extremely funky "Getting' Tighter" was a particular early favorite of Tommy. The friction that developed within this lineup developed mostly between Hughes and Coverdale to some degree, over the vocals. Glenn being only too happy to sing on every song, plus by his own admission he was living a drug fuelled rock superstar existence of limos, ego trips and all the attendant debris that accompanies this lifestyle. The classic first few gigs on the American leg of the MK IV tour saw the band at their finest. Unfortunately it was a sharp ride downhill after that with an Australian leg then an Indonesian nightmare in Jackarta, followed by the almost tragic Last Concert in Japan". I had bought the Japan concert on import LP, actually two copies I have, being so fanatical as I was and what a major disappointment that show was. Coverdale eventually leaving after a Liverpool show. The first few shows were so tight sounding and Tommy's lead work was outstanding and dynamic, as would be expected. Many say that the live versions of the "Come Taste The Band" material is many times better than the LP recorded in Germany, so the band had great potential. But soon it was all over and Tommy went back to concentrate on his solo career, recording the follow up LP "Private Eyes", which had a completely different vibe and had a lineup that Tommy could actually tour with. There were some great players, Norma Jean Bell of Frank Zappa fame on sax, Mark Stein of Vanilla Fudge on keys, Bobby Berge on drums and even Tommy's brother Johnnie on drums for awhile. Reggie McBride laid down some solid bass playing and in the liner notes, Tommy stated "Extra-special love and thanks to the most wonderful band I've ever had the pleasure to work with." So Tommy was moving on with his life after Purple. On a personal note, Karen his long time girlfriend, was now with Glenn Hughes. Tommy and her had drifted apart during the Purple time and Tommy had sort of given his blessing to the two, though the evening of his death, a telephone call to Karen, ending with the phone dangling on the floor, revealed that Karen had told Tommy, she was marrying Glenn. Apparently Tommy had asked Karen if she would marry him in the same conversation. His current girlfriend Valeria, pictured on the sleeve of "Private Eyes", apparently was more of a friendship than a love affair for Tommy. This Private Eyes tour was receiving critical acclaim and the first night of the tour supporting Jeff Beck who had Jan Hammer playing with him, was scheduled for December 3rd. Tommy had arrived in town a few days earlier and had apparently been burning the candle at both ends somewhat. The show at Miami's Jai Alai Auditorium was a great success and Tommy joined Jeff on stage at one point. What happened that evening and into the morning of December 4th there are a few opinions of the circumstances, suffice to say, one of the brightest flames of the seventies had been extinguished. This was much more than the clichéd rock star overdose, this was a tragedy of epic proportions, Tommy being so young and he had so much more to say musically, having only scratched the surface. That the interest in Tommy's music continues to this day and more material is unearthed, showing the many sides of this multi-talented musician, because Tommy wasn't only just a guitarist, he had it all and just as quickly, it was all over. Thanks for all you gave us Tommy, you were a true original and were taking music of all genres and mixing it and melding it into something very special. Update: since writing this I have the extreme pleasure of receiving the 'official' DP version of "On The Wings of a Russian Foxbat", which is a double disc titled "Live at Long Beach Arena". The playing of Tommy Bolin is absolutely incredible and he is in superb form, as in the Miami show from the same MK IV tour. All the players are firing on all cylinders and this lineup had such great potential and Tommy can be clearly heard enjoying playing with these superb musicians and his playing is spot on. Just fantastic material and his interpretations of the Blackmore solos are unique and he puts his own spin on them, which is quite an accomplishment. There are many releases of Tommy's work available, The Whips and Roses series are excellent as is the collection named The Ultimate Redux. Testing the BSM Spectrum pedal I had the opportunity to test the BSM Spectrum pedal with my 1959 Marshall handwired amplifier modded by George Metropoulos of Metro Amps and using the Marshall JH 100 4X12' speaker cabs. Not having my EP-3 Echoplex anymore, I used my Boss Analogman modded DD-6 digital delay. Using my 1983 '57 Reissue Fender Stratocaster with it's vintage pickups, this gave me the closest to Tommy's era guitars. 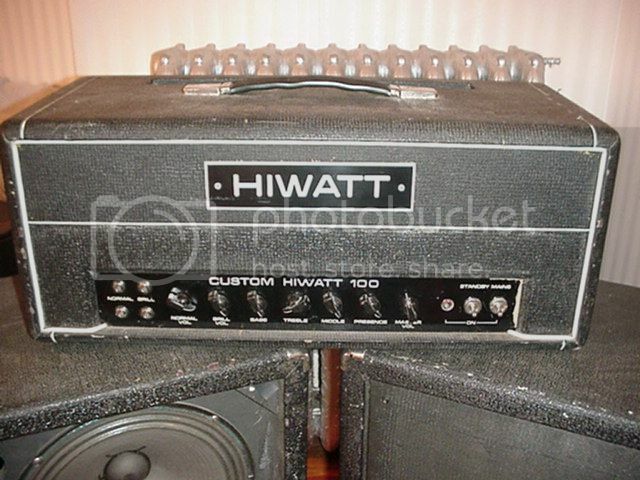 Turning down most of the treble on the amp, as did Tommy with his Hiwatts, I still was able to have a well balanced tone with the Spectrum and still having plenty of mids and treble available. The uniqueness of the Attack control, which varies from treble boosting to fuzz tone is incredible. The Spectrum control with it's multi octave range provides harmonic feedback at even low volume levels. The versatility of this pedal is unparalleled and one is not limited to just one tone. I look forward to eventually using either the EP-3 pedal and a vintage phaser eventually for the ultimate Bolin experience. Written and researched by David Talkin. Dave works as a cardiac critical care nurse in Phoenix, Arizona. He was first a drummer and witched to guitar at age 15. Born in Connecticut, USA, he moved to London in 1966 at age 11, the same year as one of his deepest influences, Jimi Hendrix. Dave has always enjoyed writing and recently through internet forums was able to share his love of guitars, amplifiers and music with others worldwide. This has enabled him to meet many people he has admired in the music business and share his knowledge and experiences of vintage guitars and particularly English amplifiers. His first career was in aerospace microelectronics and he has always enjoyed the technical side of the various guitarists he admires. Dave has his own music related web site www.daveonrock.com and recent projects include a history of the Washburn Steve Stevens Signature model guitars at www.vintagewashburn.com. He has been happily married for 10 years to Helen and is devoted to his two Maltese dogs, K.C. and Candy. Also a passion for motorsports, particularly F1 , Ferrari supercars and Corvettes.